up-and-coming Int. Film Festival Hannover is an international competition for young film makers. It takes place every two years (odd years) in Hannover, targeting young people up to the age of 27. This target group has massive potential for creative talent; talent just waiting to be discovered and cultivated. The u-a-c festival initiates support for these young ambitious artists while they are still in this highly motivated and enthusiastic age group. For the 14. u-a-c festival (2017) 3007 film entries have been sent in from 54 countries; 85 films from 37 countries had been selected for the international competition program, 82 films for the national competition program. The International Young Film Makers Award has been awarded for the sixth time. All selected films are screened at the u-a-c festival in various programs where each film and its makers are introduced by the festival presenters. The members of the national and international jury, exclusively selected for each festival, are viewing all films along with the audience for the first time. At the end of the festival, the jury comes to a decision and awards the prizes. Former members of the international festival jury (a.o. ): David Larcher (film maker, England), Meenakshi Shedde (author, film critic TIMES OF INDIA), Solange Oliveira Farkas (head of the International Electronic Art Festival VideoBrasil, São Paulo; director des Museum of Modern Art, Salvador de Bahia), Grahame Weinbren (film maker, New York), Valerie Saunders (head of ZENTROPA Norway). Among the festival’s most prominent shooting stars are several German OSCAR winners: Volker Engel ( OSCAR Academy Award Special Effects for ‚Independence Day’, 1997; Emmy Award for the SF series ‚The Triangle’, 2006) and Thomas Stellmach ( OSCAR Academy Award for his short animated film ‚Quest’, 1997). Both, Engel and Stellmach repeatedly entered their early films in the Hannover festival between the ages of 15 and 18. Further OSCAR winners and former u-a-c participants are Marc-Andreas Bochert (OSCAR Student Academy Award and Deutscher Kurzfilmpreis, Film Ribbon in Silver, for the short feature ‚Kleingeld’, 1999 ) and Florian Gallenberger ( OSCAR Student Academy Award for the short feature ‚Quiero Ser’, 2000; OSCAR Academy Award for ‚Quiero Ser’, 2001). Further ex-u-a-c participants and their awards: Fatih Akin ( German Film Award 2008 / ‚Golden Lola’ for ‚Auf der anderen Seite’; Best Script in Cannes for ‚Auf der anderen Seite’, 2007; Golden Berlin Bear Award, Berlinale 2004); Ayse Polat (Silver Leopard, Filmfestival Locarno for ‚En garde’, 2004); Ali Samadi (German Film Award 2006 for ‚Lost Children’). "Wounds and Visions of a megalopolis" has been the title of the u-a-c international accompanying program since 1995. An international network forms its foundation. Through the international resonance triggered by the up-and-coming Film Festival in Hannover, it was possible to establish contacts with curators interested in cooperation in the WOUNDS & VISIONS OF A MEGALOPOLIS program. At previous festivals, curators from 27 mega-cities presented in this film series works by young film makers. In 2007, WOUNDS & VISIONS OF A MEGALOPOLIS presented in addition to films from Bombay and Cairo for the first time fiction and sound experiments (VJ) by young artists from these two mega-cities. All WOUNDS & VISIONS OF A MEGALOPOLIS programs have been compiled exclusively for the Hannover festival. CITYZOOMS is an initiative by u-a-c. 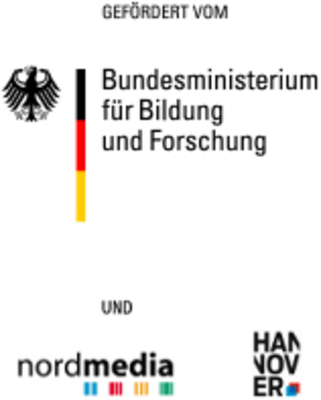 This international film workshop with young film makers took place in the city of Hannover in May 2000 and in October 2006; and in the city of Bremen in May 2003. In 2006, the Art and Exhibition Hall of the Federal Republic of Germany (Bonn) and u-a-c presented within the accompanying program of the exhibition 'The Guggenheim Collection'CITYZOOMS >>New York. New York based video artist Caspar Stracke (long-time curator for u-a-c and ex-participant of the festival) compiled in co-operation with u-a-c a program of short films by a young/new generation of video artists from New York. The 15. International FilmFestival Hannover up-and-coming will take place 21.-24. November 2019. Welcome!